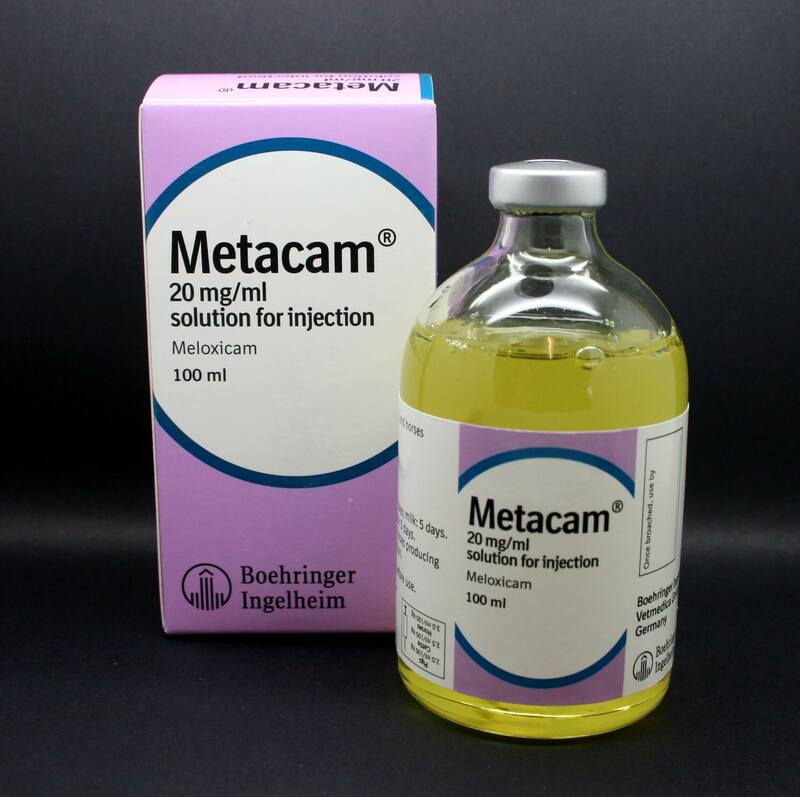 Metacam Solution for Injection for Horses, contains Meloxicam & is licensed to treat pain & inflammation associated with both acute & chronic musculoskeletal conditions in the horse, eg. laminitis; osteoarthritis. 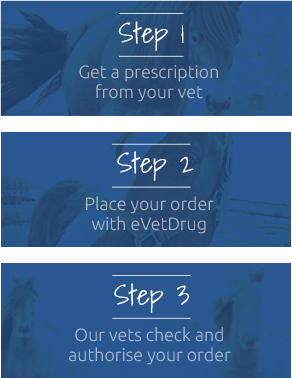 It is also used for the relief of pain associated with equine colic. It is a non-steroidal anti-inflammatory drug (NSAID). It is antipyretic (lowers fevers), anti-endotoxic, anti-exudative & has a low ulcerogenic potential. It works by inhibiting the body from synthesising prostaglandins, which facilitate pain & trigger inflammatory processes & pyrogens (substances which cause a fever).